The refurbishment of the Dulwich Clock Café needed to elevate our client above its competitors. We created an interior space that provides customers with a user experience that is lively, contemporary and memorable. We also developed an efficient back-of-house that could keep up with the growing demand. 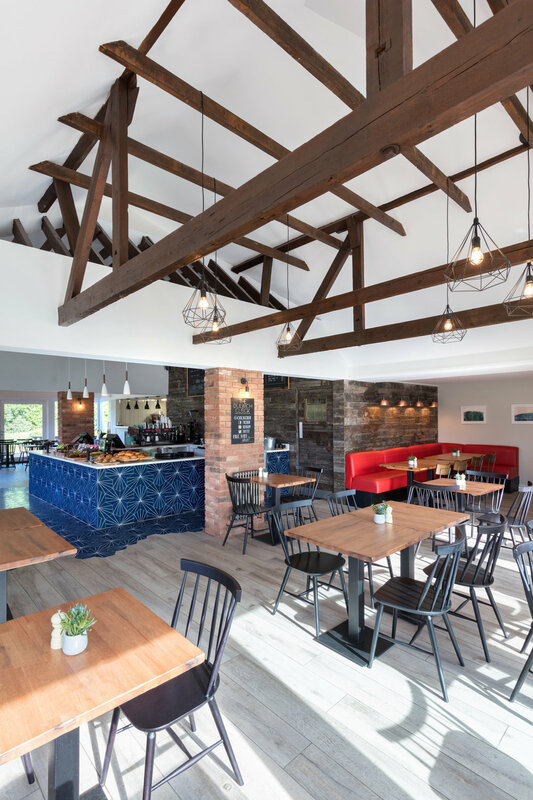 The new café was designed with three main objectives in mind: to celebrate its natural surroundings, accommodate its growing clientele, and communicate our client’s use of high quality, natural and locally sourced ingredients. 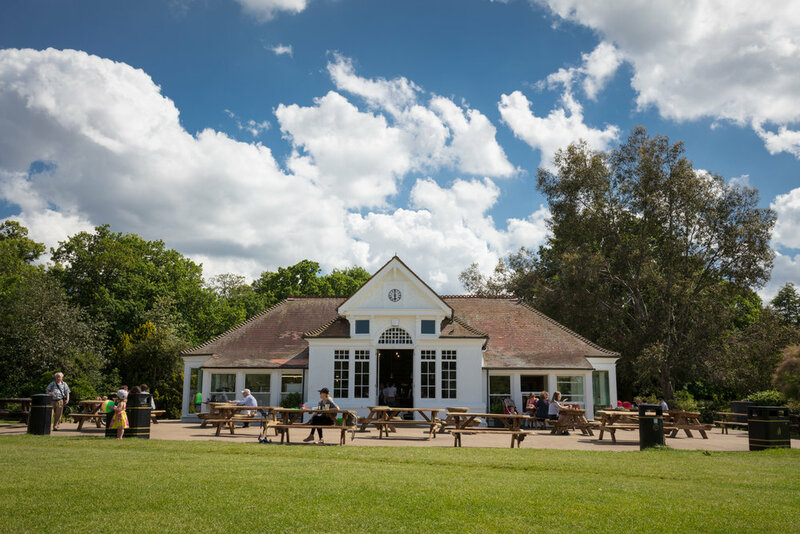 Established within the historic Refreshment House, the new café needed a larger kitchen area, and two extensions in the back of the building to house additional bathrooms and a cold room. 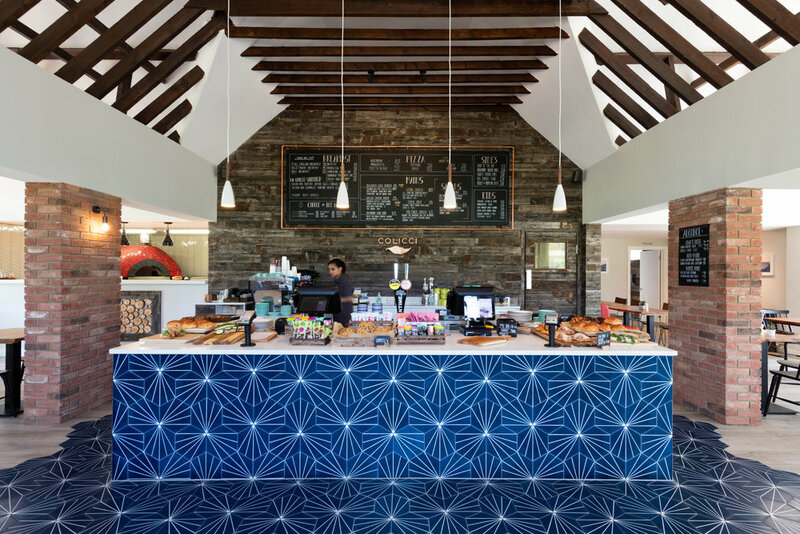 Our challenge was to develop an efficient back-of-house and completely reinvigorate the café’s interiors. We introduced texture and colour to enhance the building’s inherent architectural qualities. 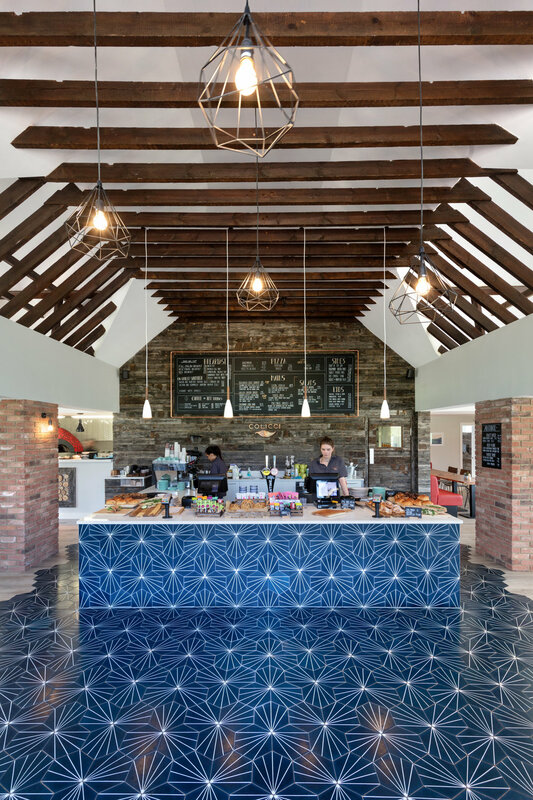 The café’s ceilings were punched open, exposing the building’s authentic wooden rafts and bringing more light and air to the space. 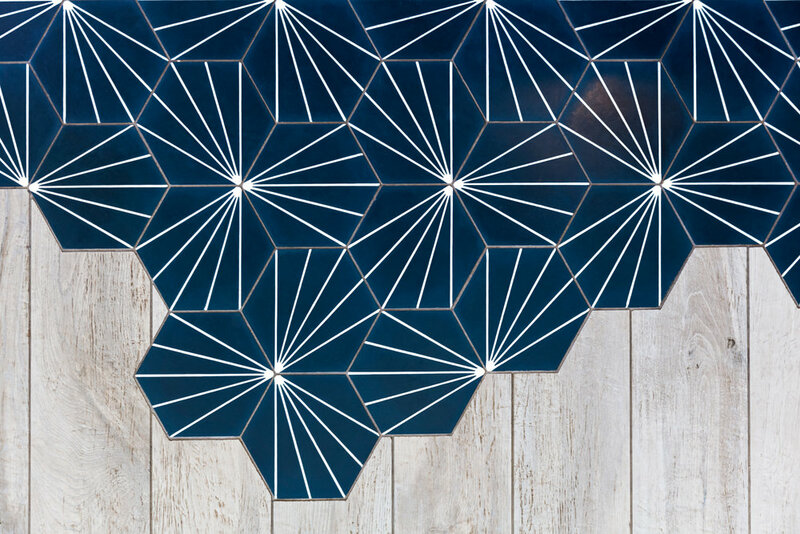 We also used reclaimed timber wall cladding, enriching its warm, textural qualities through a juxtaposition with a cascading composition of deep blue geometric tiles across the café floor. The eye-catching blue was designed to emerge from the main counter, purposely positioned on axis with the entrance, acting as a direct way-finder to the point of sale.